This gear was returned in mint condition. If you&apos;re looking for a virtually new instrument in possibly less-than-perfect packaging, this is a great value. 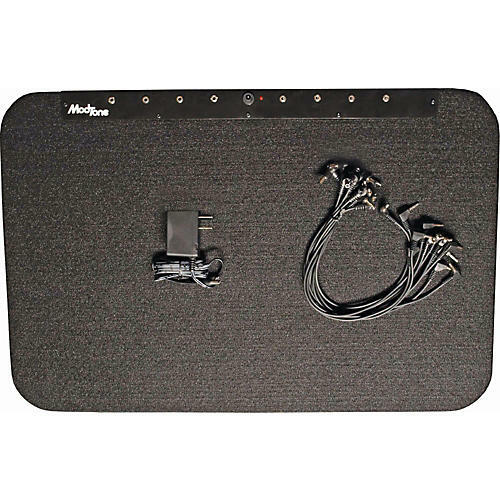 The ModTone Powered Pedalboard can power up to eight effect pedals. Everything you need is here including all cables and AC Power supply and comes in a durable rock ready 20 mm nylon road case. Clean and reliable, the MT-PB8 puts all your guitar pedals in one easy to transport package so all you have to do is stop, drop, and rock! Make it easy to setup! Order today.